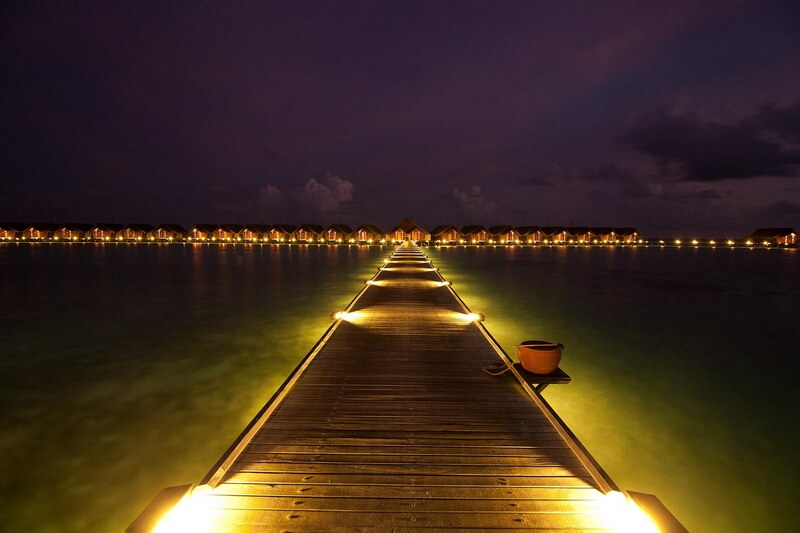 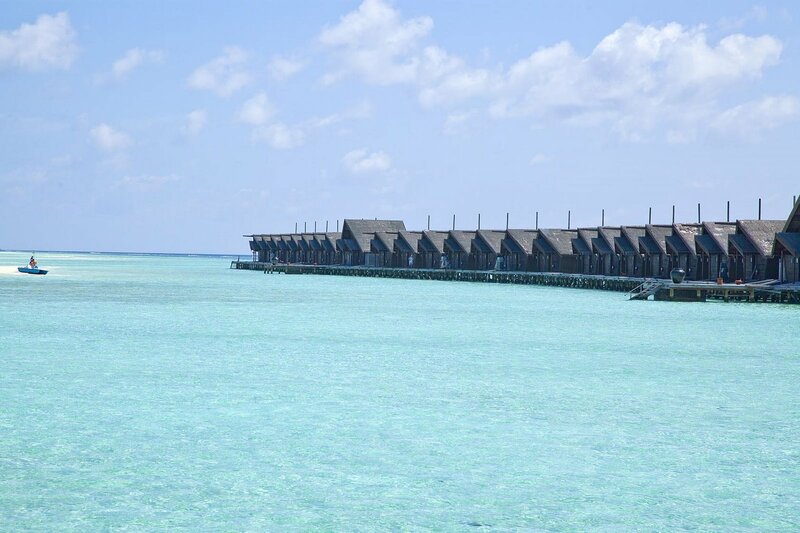 The Diva Resort is tucked away on the island of Dhidhoofinolhu in the South Ari Atoll, the westernmost atoll of the Maldives. 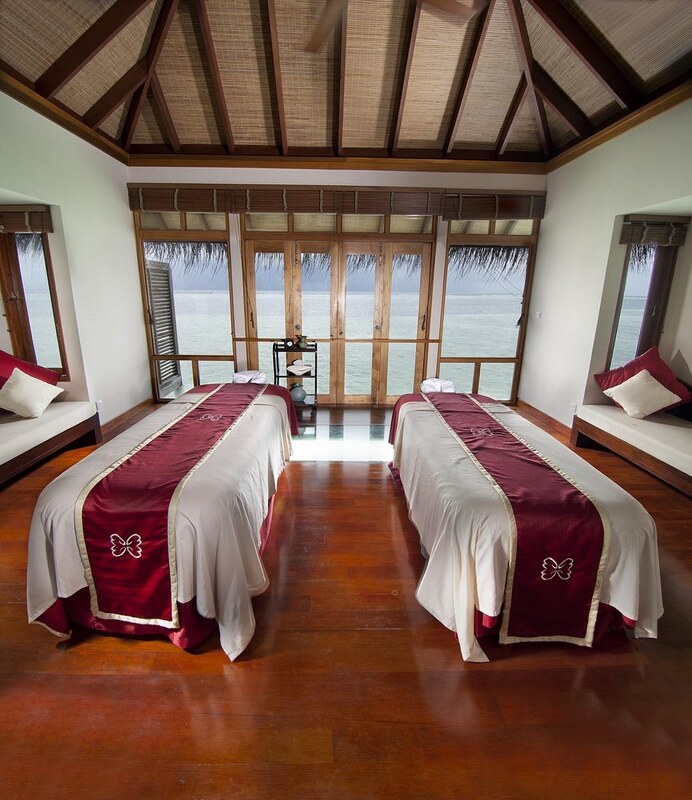 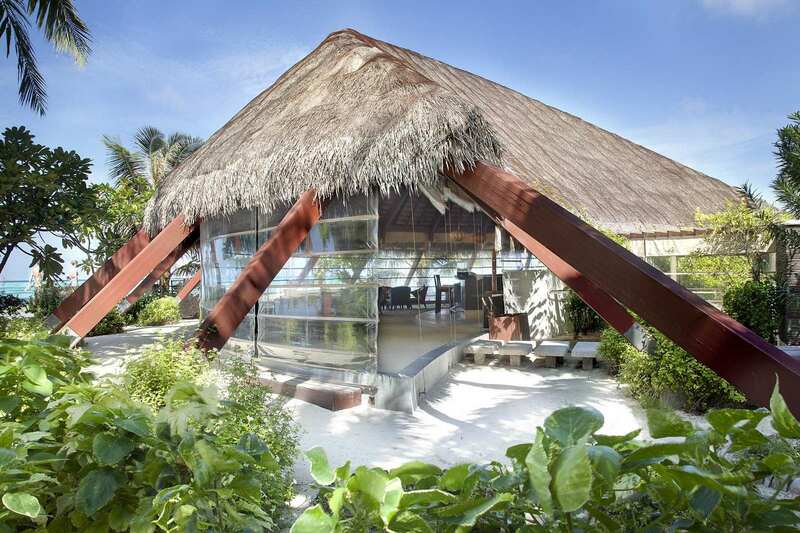 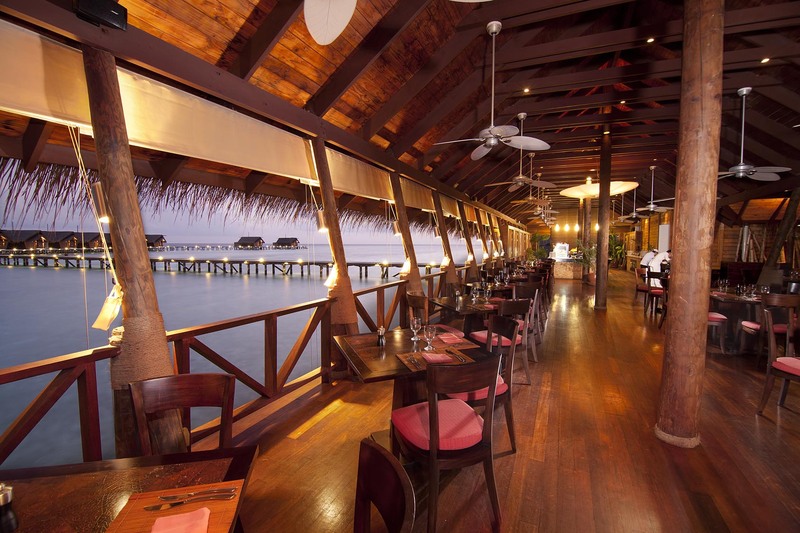 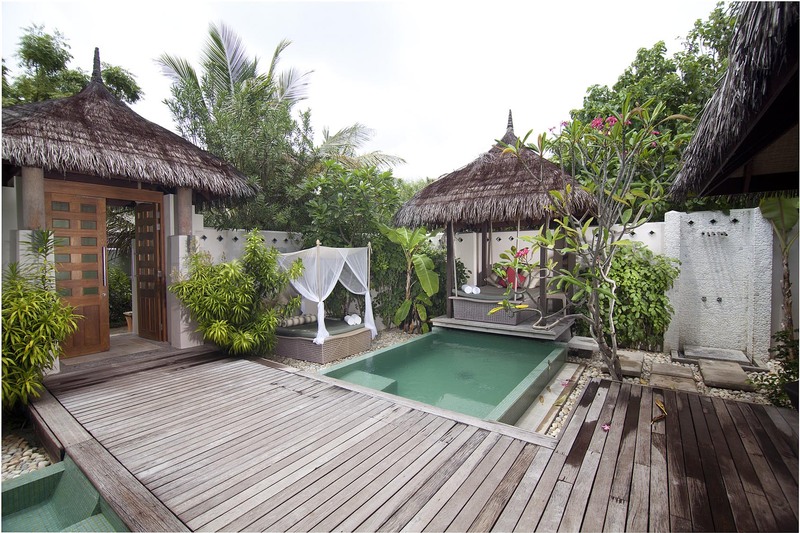 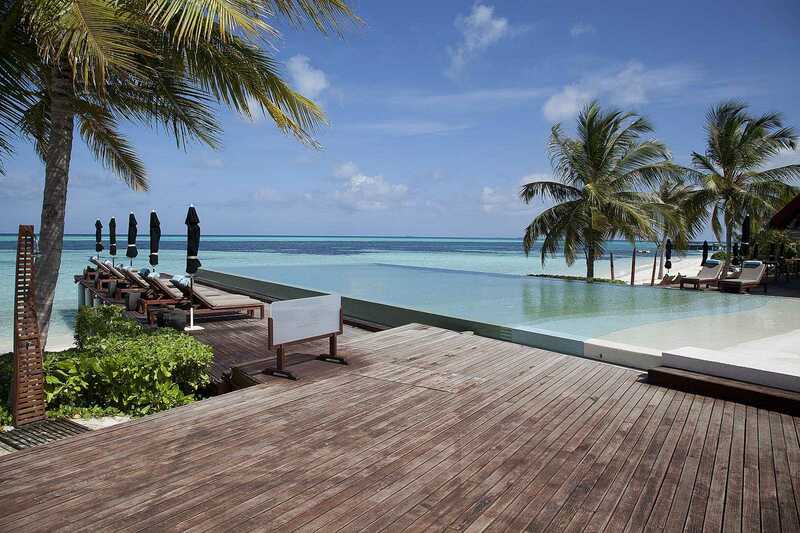 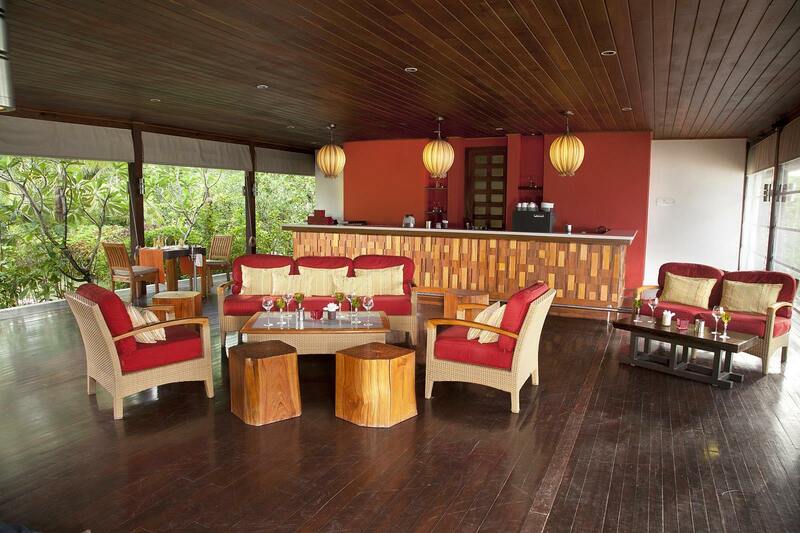 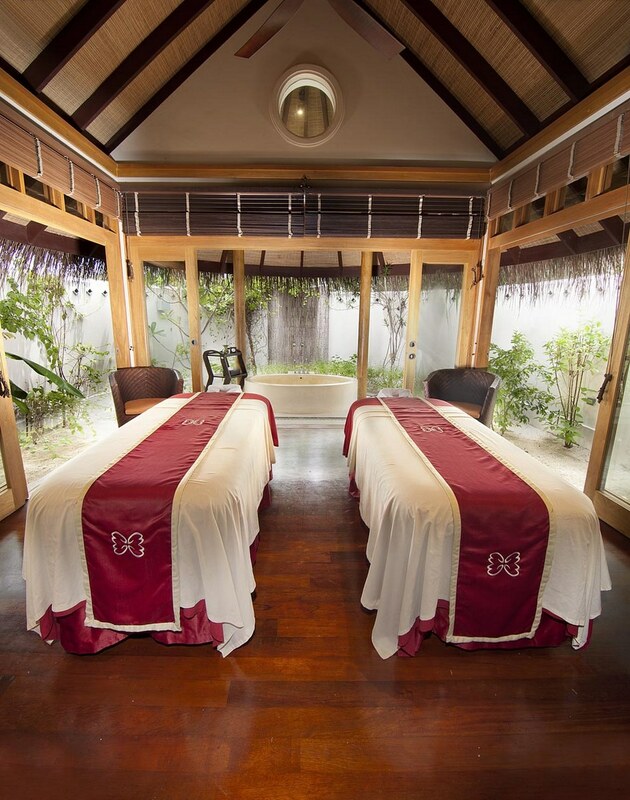 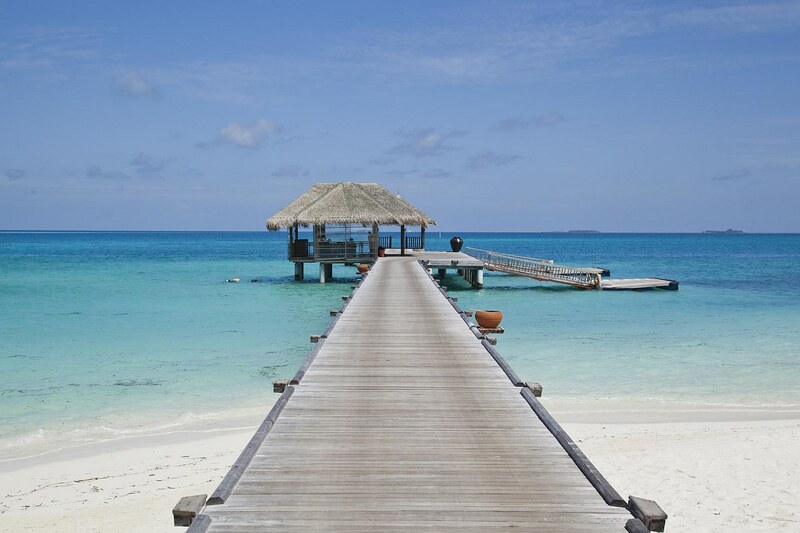 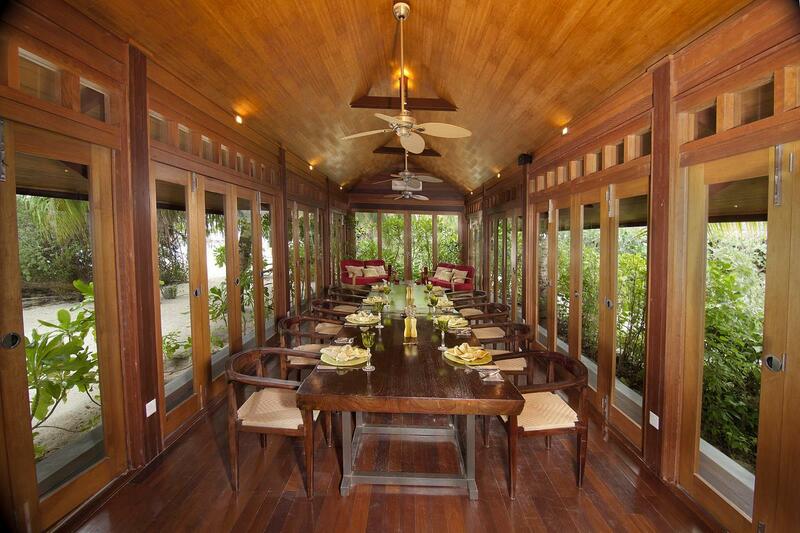 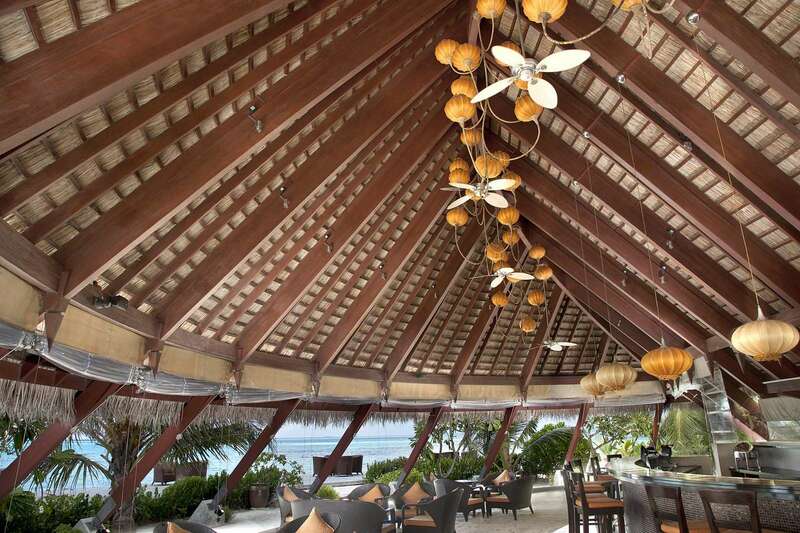 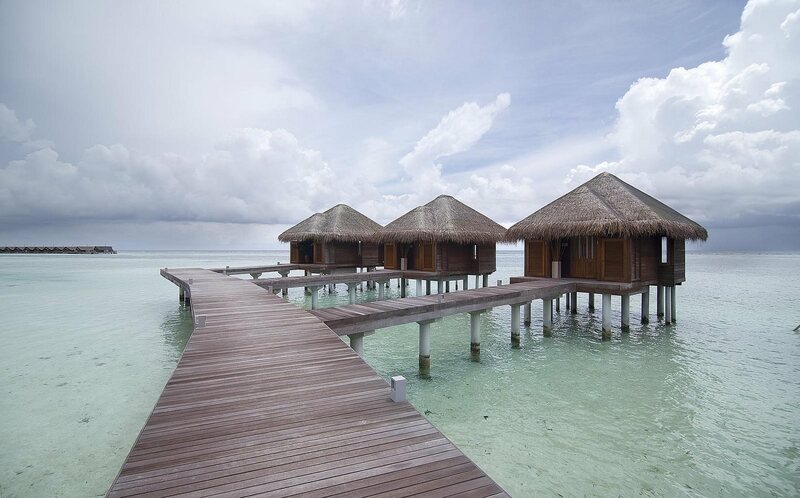 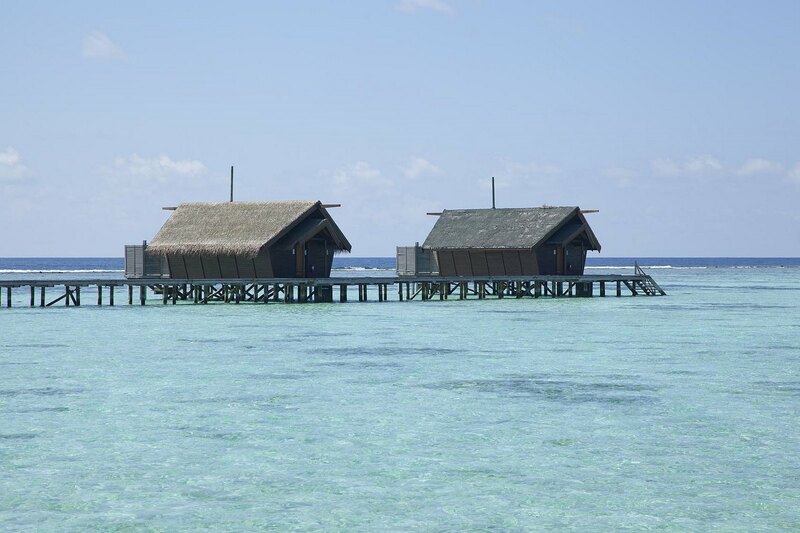 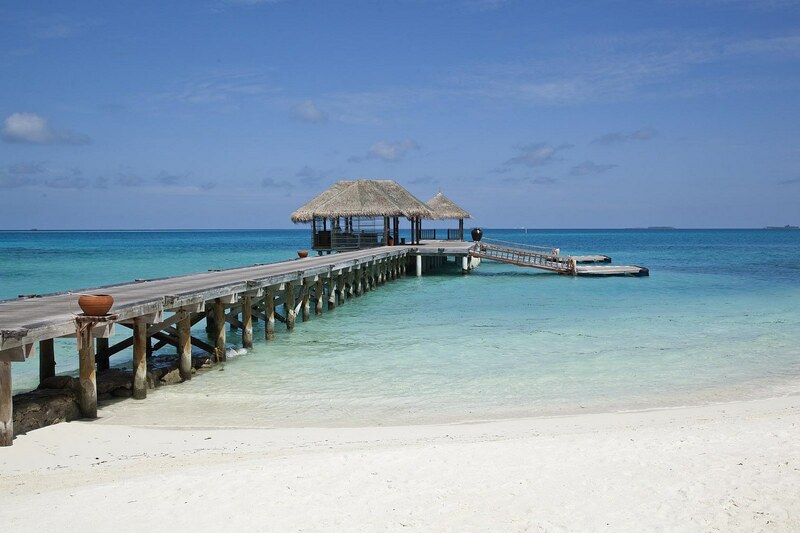 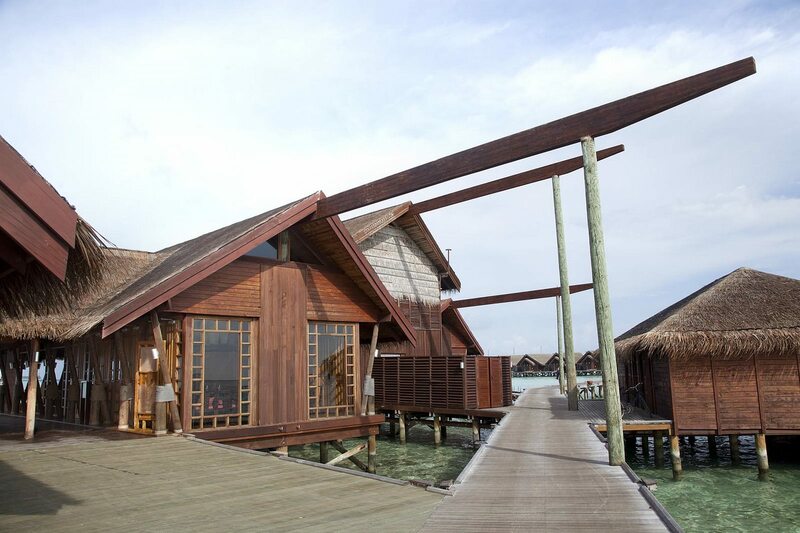 The all-timber and thatched spacious suites and villas are either set on the white sandy beaches of the South Ari Atoll, or built out to sea, accessible through a boardwalk. 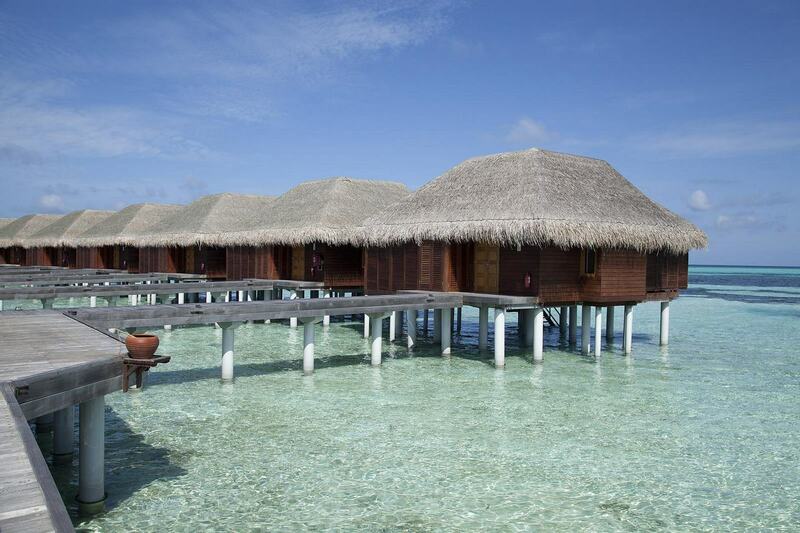 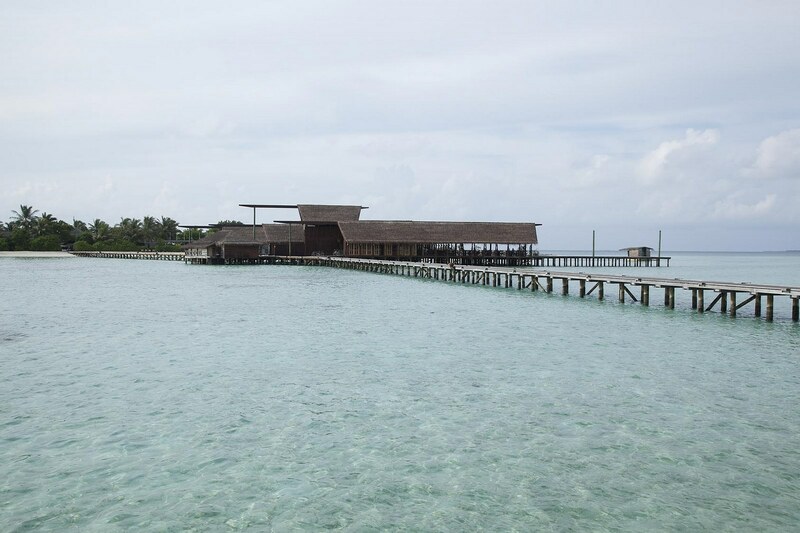 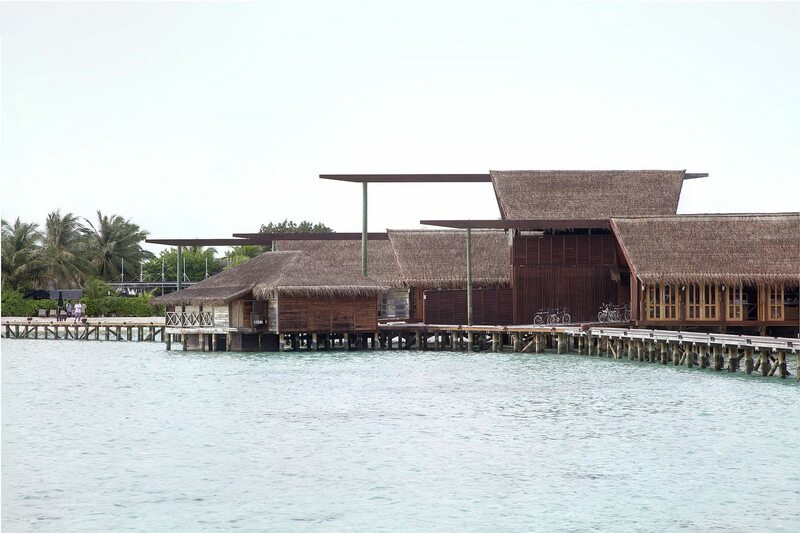 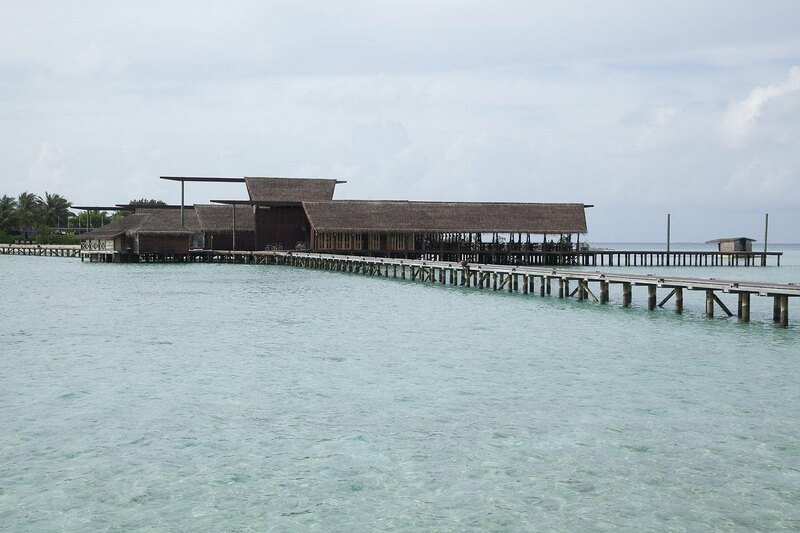 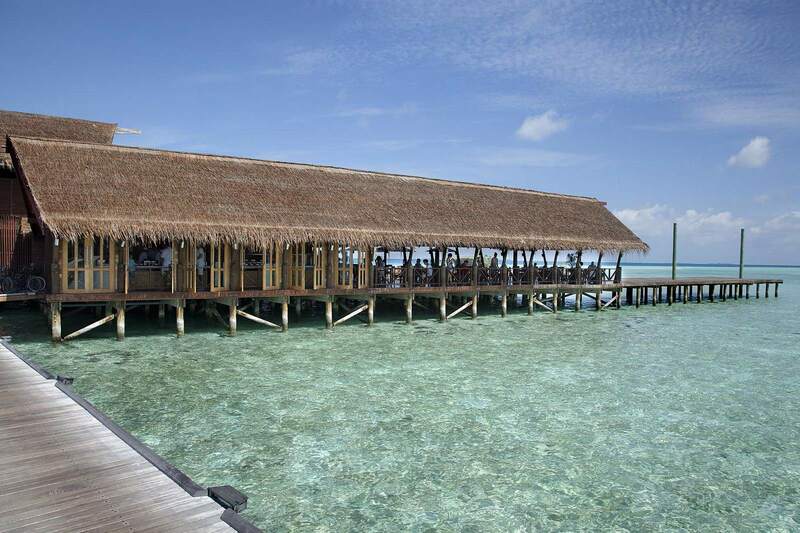 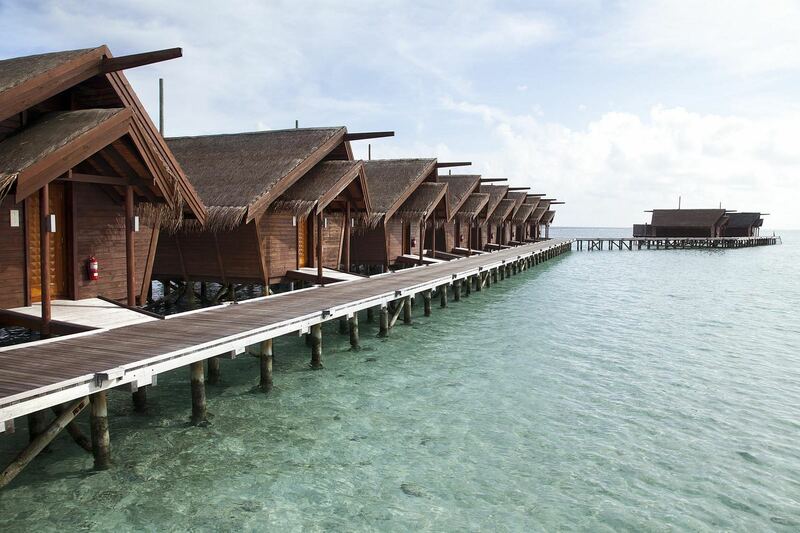 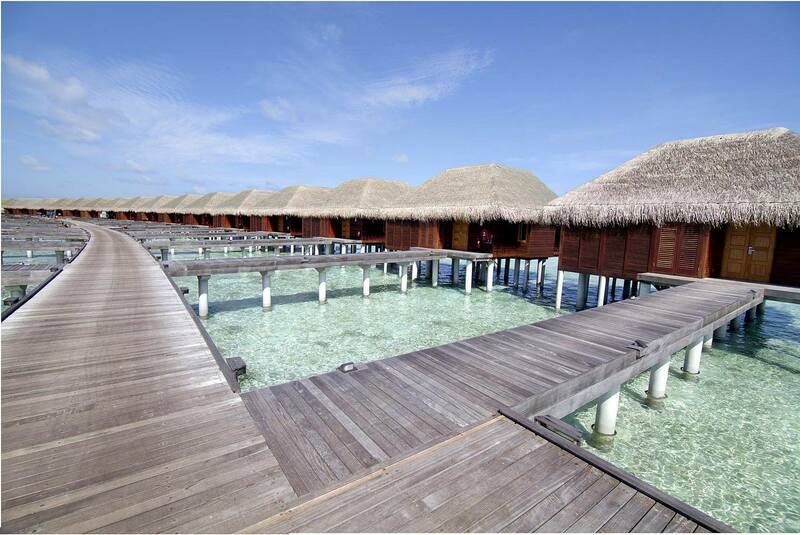 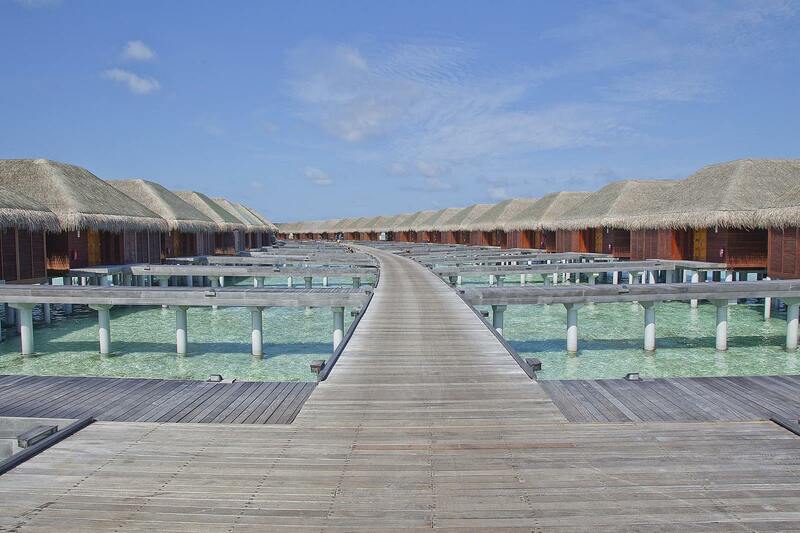 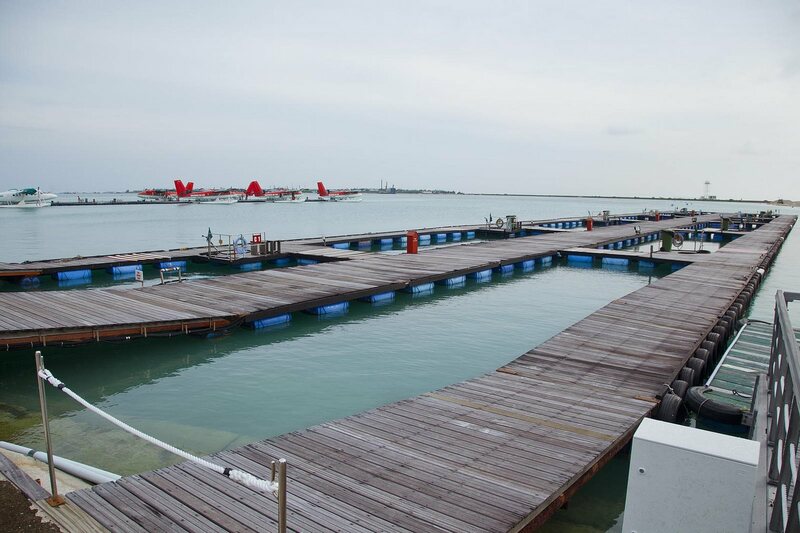 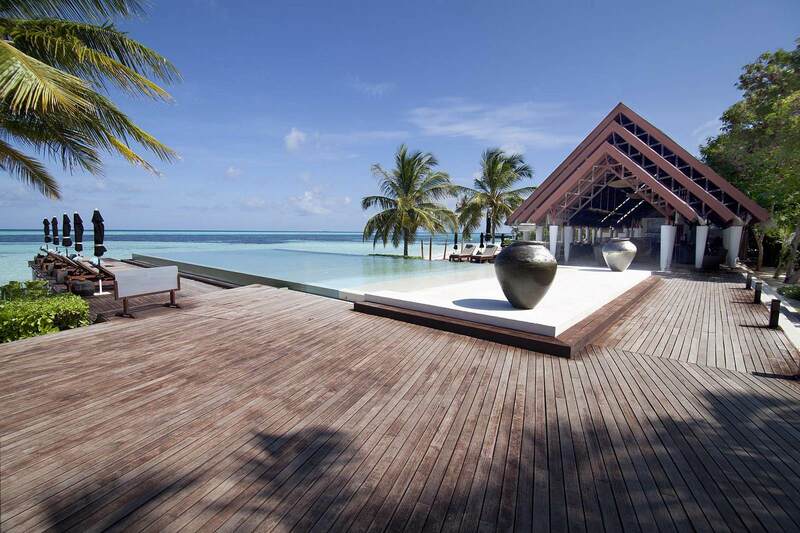 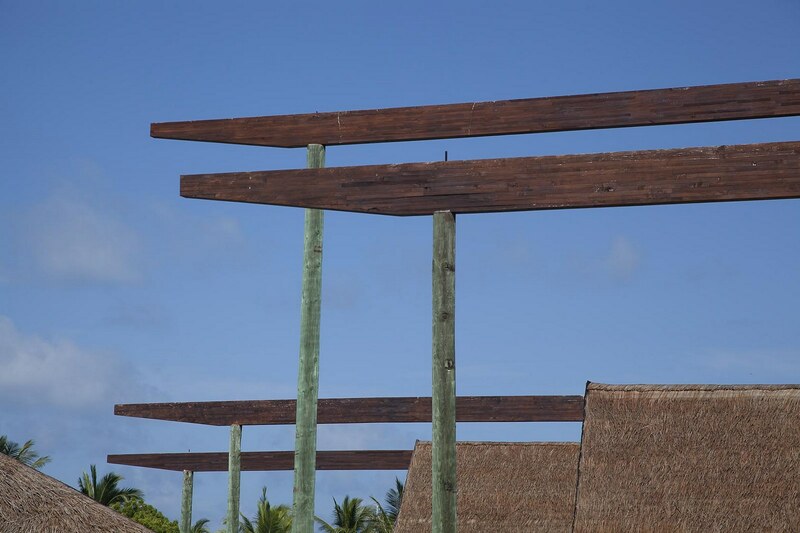 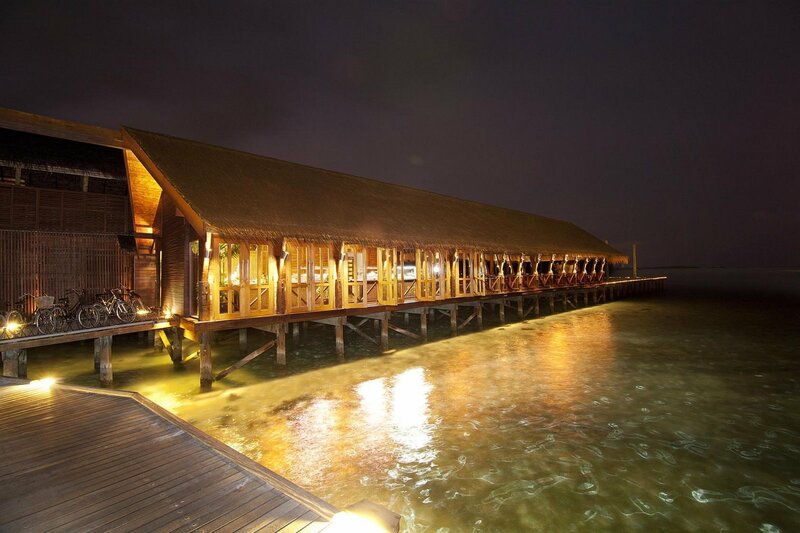 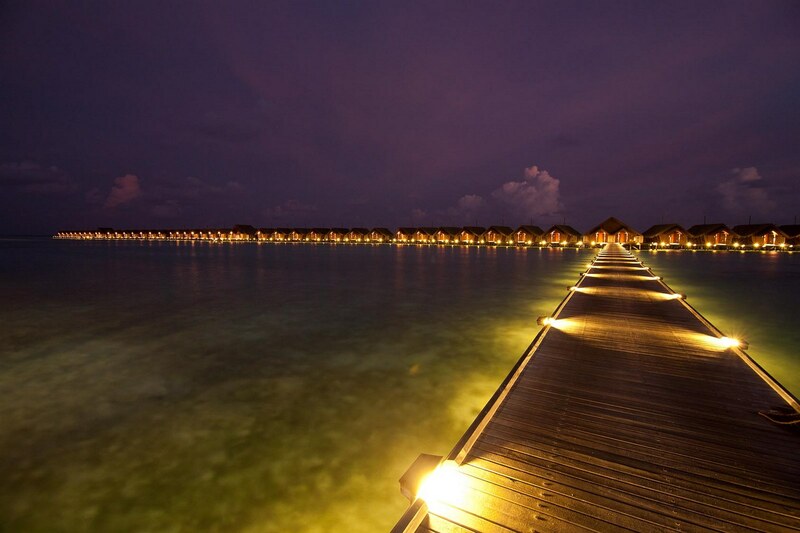 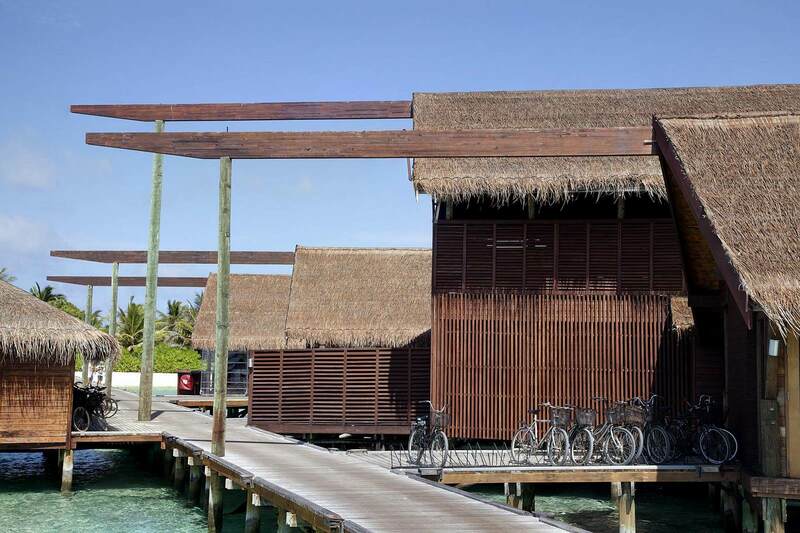 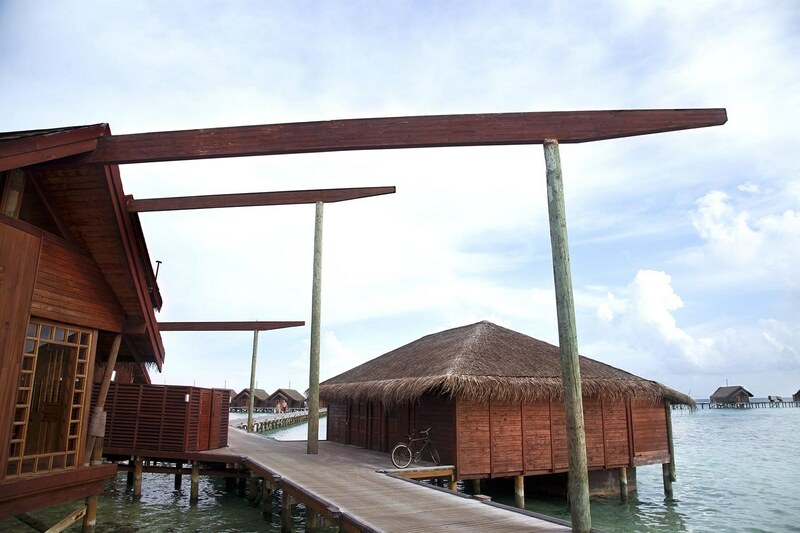 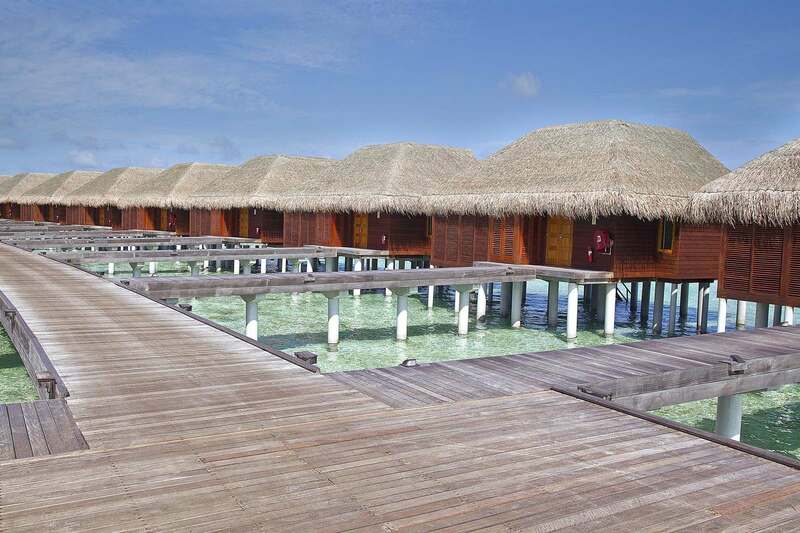 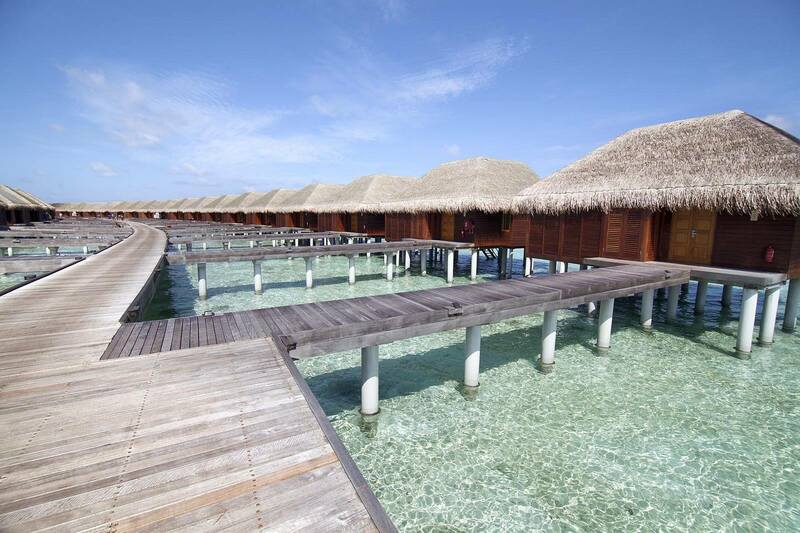 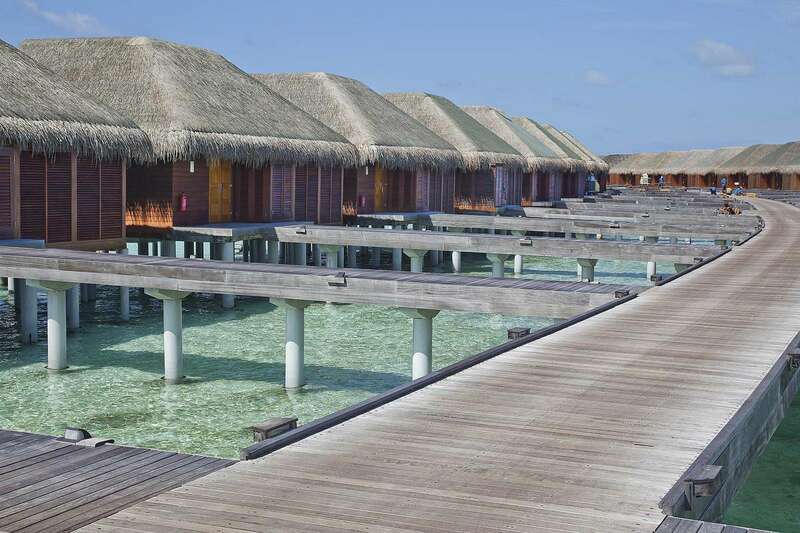 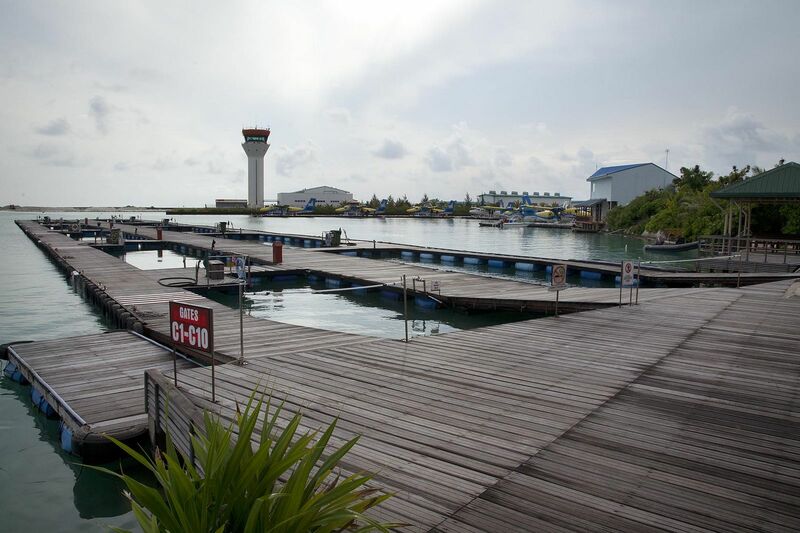 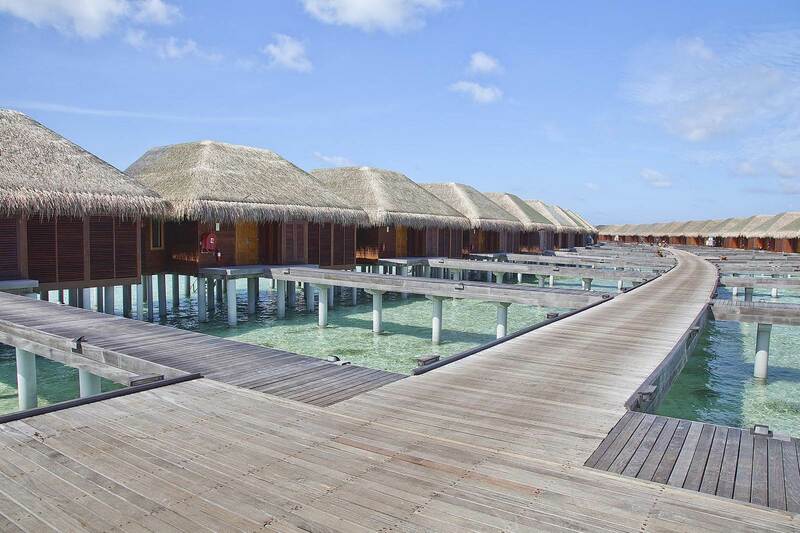 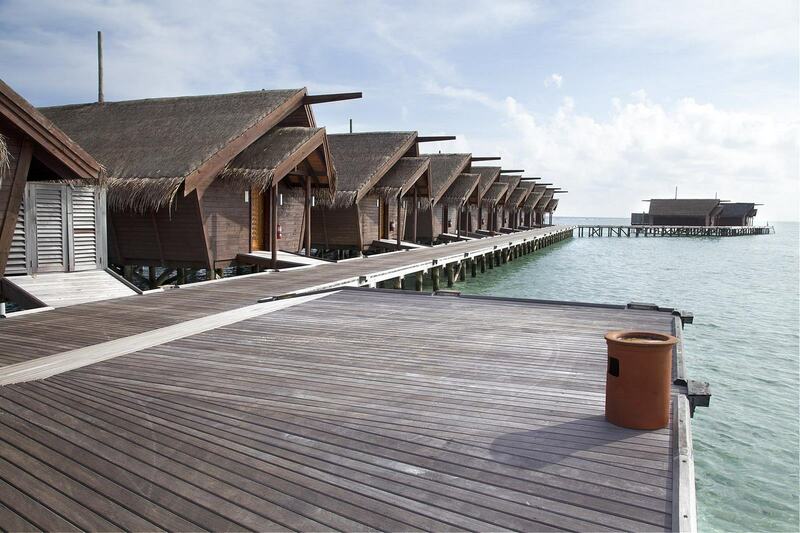 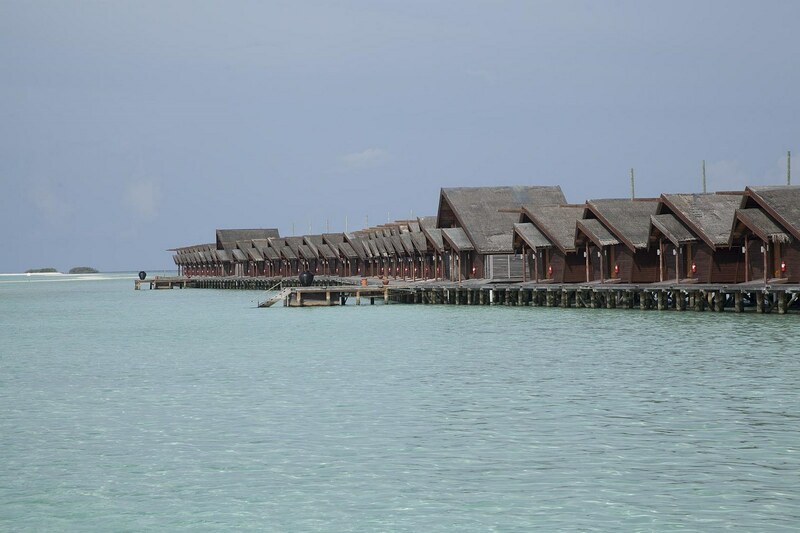 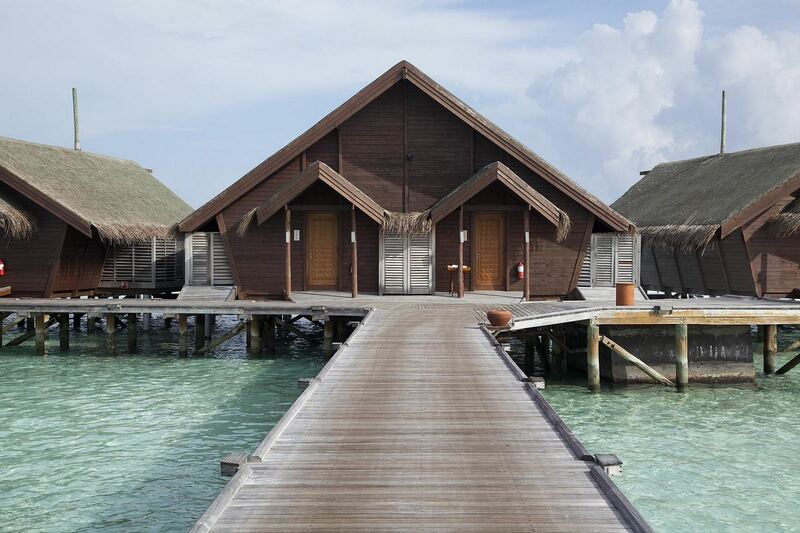 This page features the Water Villas (right) which sports thatched roofs, balau boardwalks, and wooden ship-lappped planks, complemented by horizontal or vertical timber kapur louvres. 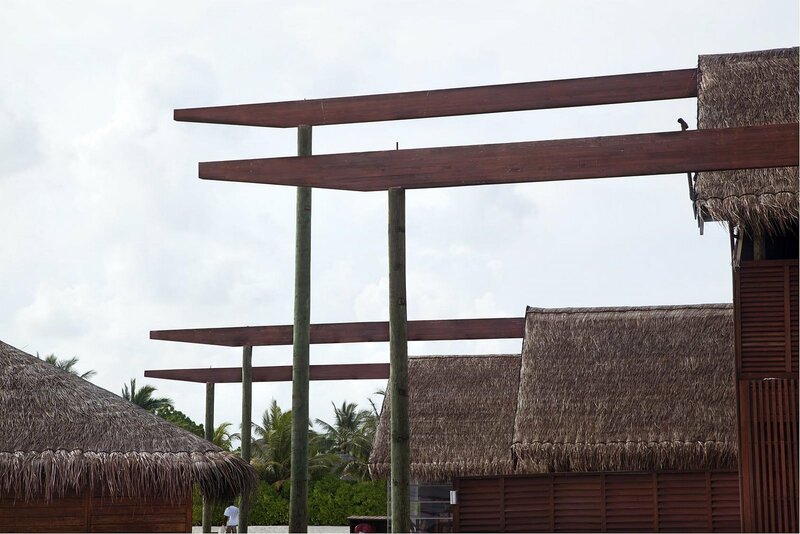 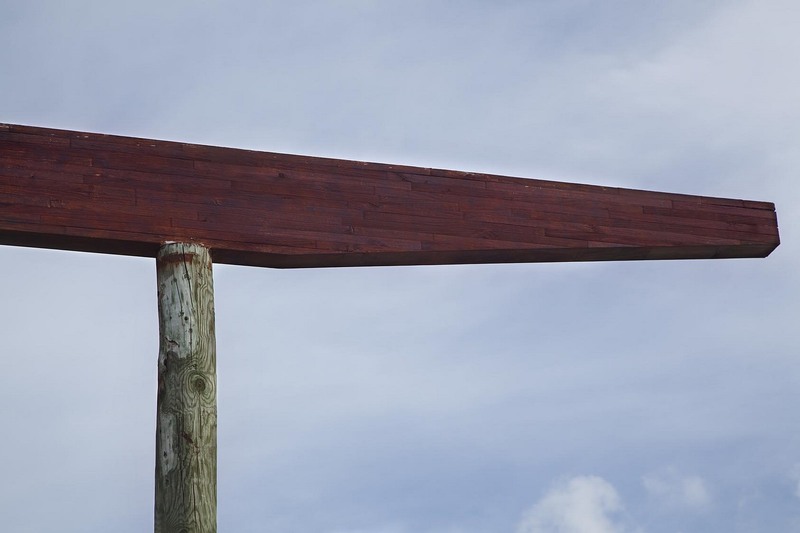 A Japanese restaurant named Pure is identifiable through horizontal Glulam beams installed to support the roof level. 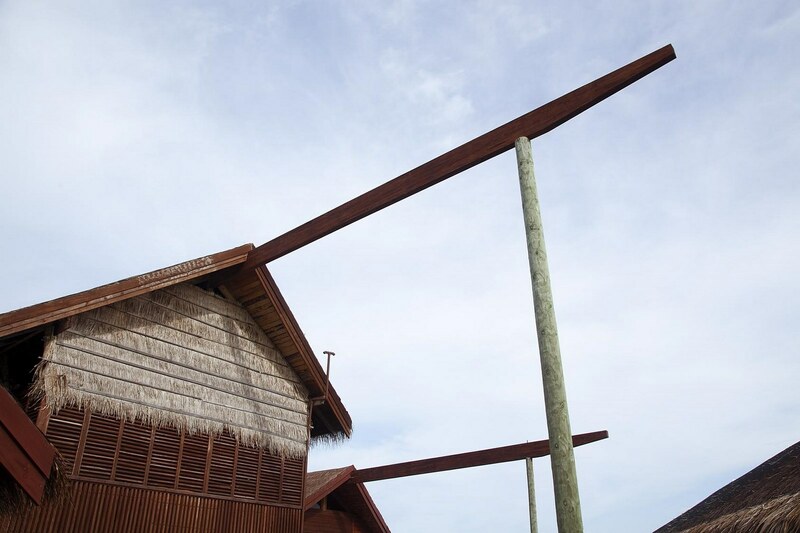 Pine pools are erected to support the Glulam beams at one end. 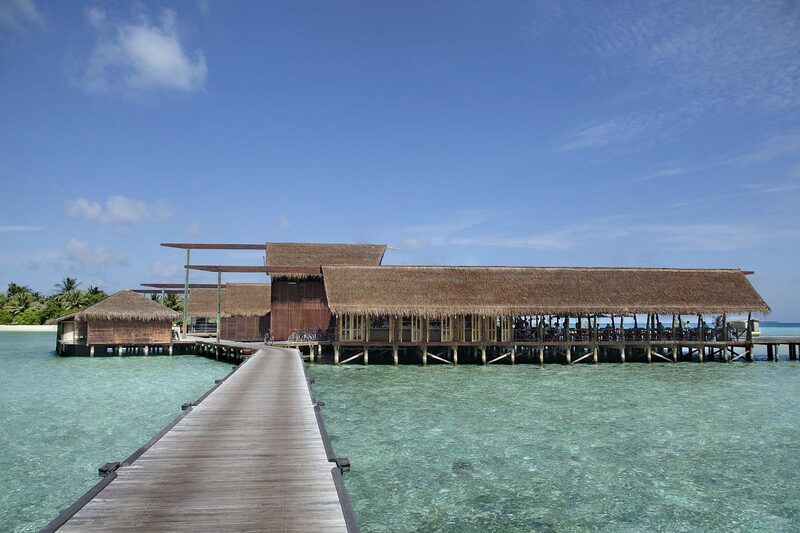 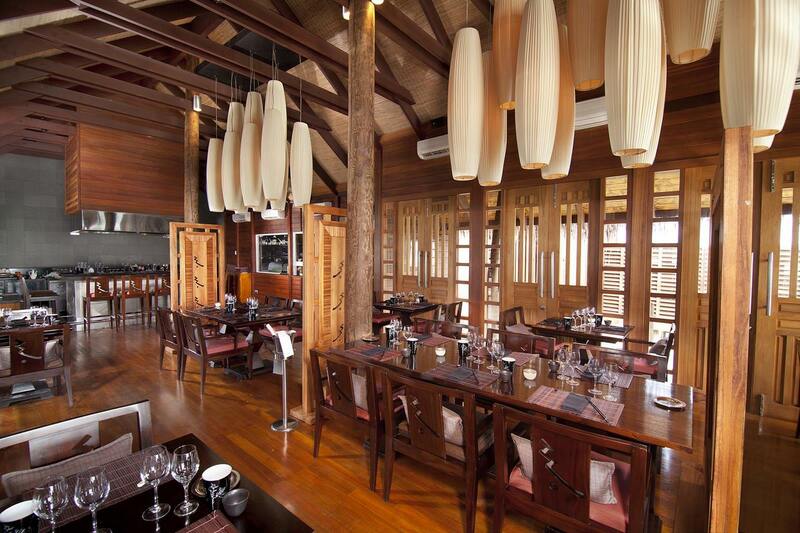 Also built out to sea, the restaurant’s external design is simple and unassuming, and does not distract one from the natural splendor.